The Titleist Players 5 stand bag offers the optimal blend of organization and lightweight engineering for the dedicated golfer. 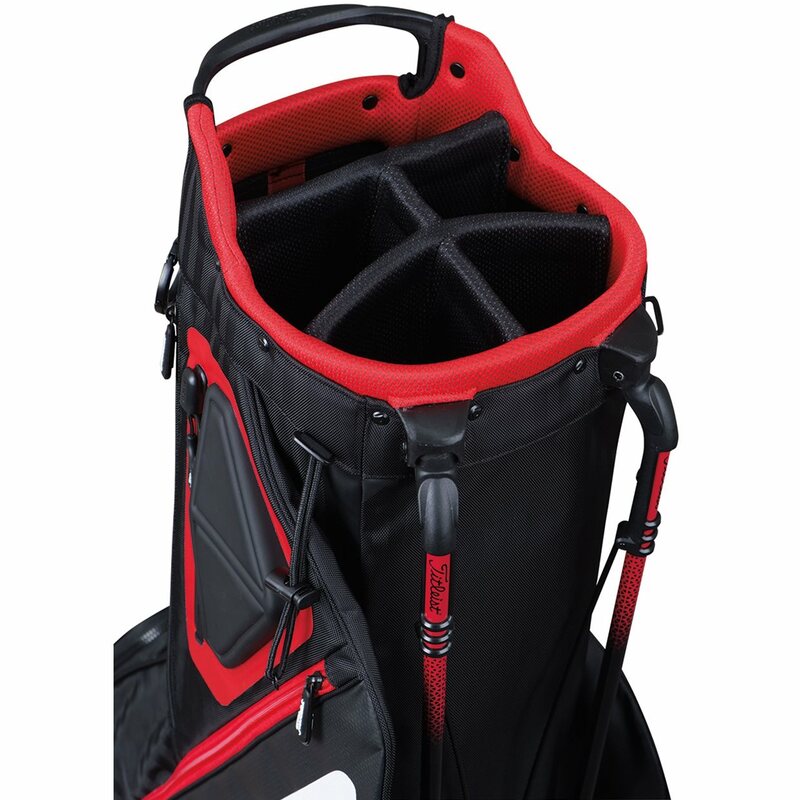 The bag features a proprietary stand system with an internal foot mechanism and an engineered curved hinge for optimal leg position and stable width. 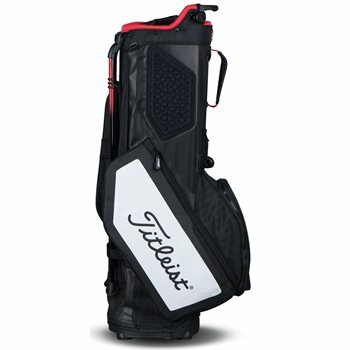 Other features of the bag include a 5-way top for organization and a double-to-single convertible strap with quick-release buckles. 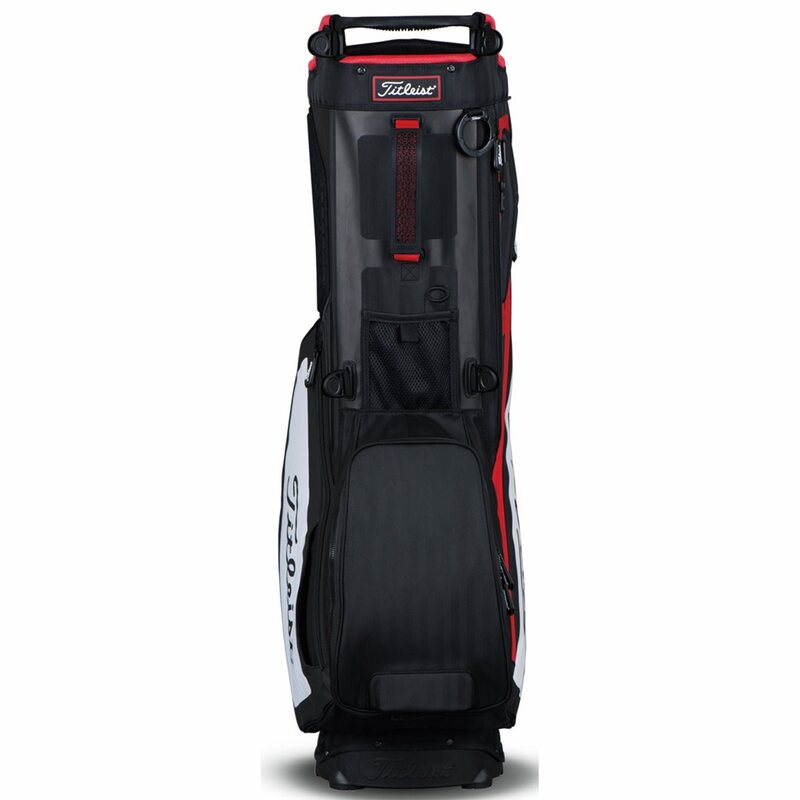 The Players 5 stand bag is equipped with 7 pockets, which includes a protective waterproof valuables pocket. The bag is everything it should be- stylish, functional, lightweight. The only reasons it isn't 5 stars is because the zippers worry me, they seem likely to break over time (hopefully no time soon). The shoulder straps are decent, but could be a bit more ergonomic. Lastly, the rain hood leaves a tiny gap that let's in a drops of water. However, none of these are deal breakers. The straps function as expected, if you play in a downpour things inevitably get wet, and the zippers haven't broke yet. 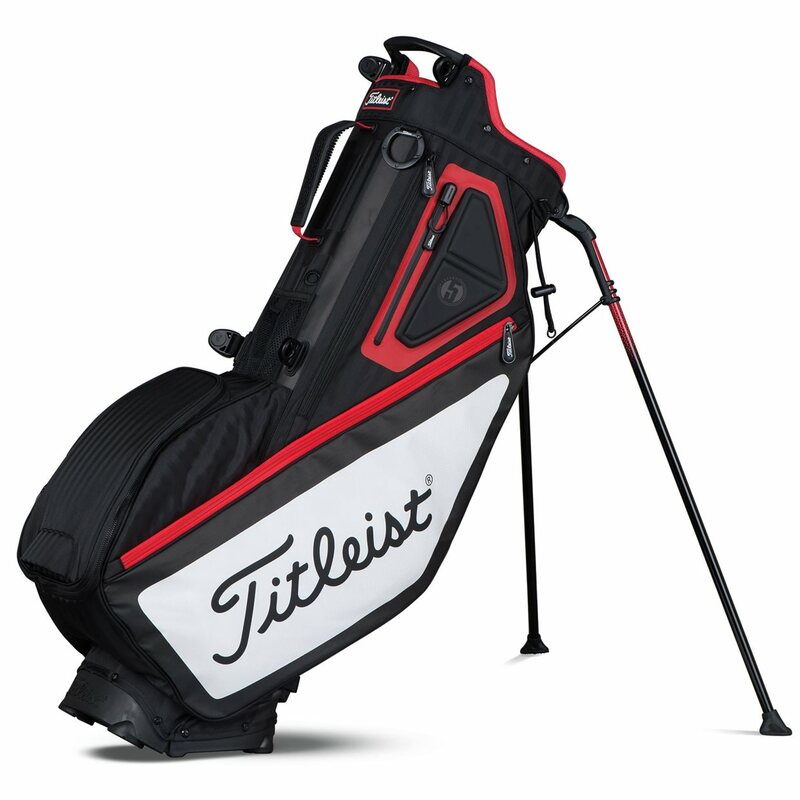 Bag is great, has enough bags to store everything you need, shoulder straps are comfortable. Como siempre , la talega llego muy rapido y en perfecto estado . Muy buen precio y muy buena calidad. Estoy muy contento con esta compra.